I stumbled upon an interesting article from Spouse Buzz. Recently, a bill has been proposed to Congress that would guarantee you (the spouse) time off before your service member deploys no matter what kind of job you have (You can read the article here). Apparently, this is not the first time they’ve tried to pass something like this. According to Spouse Buzz, an almost identical law was proposed last year and promptly died. When I read articles such as these, it breaks my heart because it would be nice to have time off before our service member deploys. But for some of us, it’s just not possible. When I look at my entrepreneurial journey, I smile because having the freedom and flexibility to be at home and working around my husband’s schedule is a blessing. Of course that’s the only thing I enjoy as the owner of KR Design! So, here’s 7 reasons why military spouses should consider entrepreneurship. Let’s be honest, one of the things people crave about working a job is that they wish they worked from home. It saves time on commuting, money on gas, and even the convenience of eating from home (I personally love it when we have leftovers from dinner because I know what will be my lunch for the next day!). This is especially a plus if you’re a mom and have children. Not only do you save money on daycare, but you’re there at home for the unexpected things. This is has been a HUGE advantage when it comes to my husband’s military career. As military spouses, we have learned to expect the unexpected. When the deployment news comes, we spur into action about what needs to be done. Rather than asking for time off from my job, my company is flexible and I can work around those times that I need to get things done. Or sometimes we’re called by our service member to do things for the unit. I love the fact that I can look at my calendar, move some things around, and can still be of service. One of the things I love to do and brings joy to my heart is bring cookies to my husband’s Marines. That wouldn’t be possible if I worked a full-time, 40 hour per week job. One of the things I disliked about having a job as a military spouse was that my salary never seemed to increase over time. Depending on where we lived, my income could be lower or higher than the location before. It would be hard to predict our budget in the next place or what we could afford because it would depend on what kind of job I could get. As an entrepreneur, I am in control over my own income and I can give myself a raise from time to time. I can also promote myself by hiring team members and be a manager. Having a job and relocating constantly starts the career ladder all over again and it can be very frustrating. Thanks to the internet, most businesses can be location independent. This means that no matter where you are in the world, you can have a business. Also, more people are learning to be comfortable doing business online. As long as you can get the work done, have a method of taking payment, and a way of communicating with clients and customers, you can run a successful business regardless of your location. This especially comes in handy as we, military spouses, move and relocate. We don’t have to worry about going out and looking for another job. Our job and career come with us, wherever we go! Freedom as an entrepreneur has become one of the most important qualities that really makes me think hard about going back to the 9 to 5 grind. Being able to work AND play (especially when you’re in Hawaii!) where you’re stationed at is a great benefit of being a military spouse entrepreneur. There is no job that I have found that matches the freedom of being an entrepreneur. For example, my work policy is that I take half days on Fridays. I spend Friday mornings working and then go to the beach in the afternoon. Sometimes, I’ve flipped my routine where I go hiking in the mornings and work in the afternoon. There’s also the freedom of choosing how you want to work. Most entrepreneurs I know work during school hours but I do know some entrepreneurs that work in the evenings. Being your own boss and the owner of your own company is so powerful. You really start to look at situations differently and your perspective changes. 6 months into my business I felt a weight being lifted off of my shoulders. For once, the effort I’m putting into my business is going to benefit me and not someone else. Finally, I see direct results of the sweat and tears that I put into my business. It’s hard to see that when you work for someone else. Your efforts go to benefit their company and their goals, and you’re not really sure if your efforts are really benefitting the company. And I don’t know about you, but no one is harder on myself than me. Trust me, I’ve fired and re-hired myself a couple of times. It’s a difference being hard on yourself for your own goals, dreams, and income vs. a job working for someone else. Going back to my original point, entrepreneurship is a great solution to the “how do I get these things done before my spouse leaves?” Having a business (with the proper processes and procedures) allows military spouses to get things done and not worry about taking time off. One of the things I love about my business is that we have a small team and most of our processes are automated. 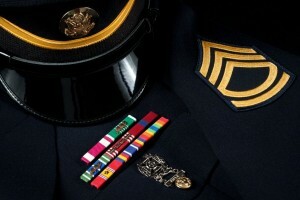 This allows me to easily set aside time to get those things done before my husband deploys. During his deployment, I get to have the “non-guilty” time of being a workaholic and working on growing my business. Not only do I get to enjoy the fruits of my labor when my husband comes back, but my team has been submerged in the process and can now run my company while my husband and I enjoy post-deployment leave. Have you decided to become a military spouse entrepreneur? What benefits have you found on this new path? Comment below!